The Ceann Comhaile says he saw nobody drunk during the abortion debate. 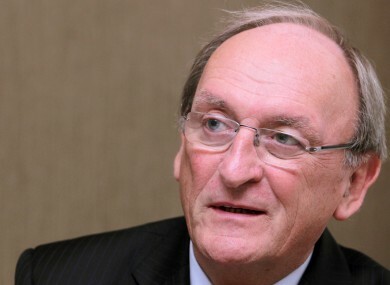 CEANN COMHAIRLE SEÁN Barrett says that the perception of the ‘Dáil bar’ is false and that he saw nobody drunk during the abortion debate. Speaking on RTÉ’s Marian Finuncane programme this morning, the Ceann Comhairle said that it is a ‘members facility’ and is there to give deputies somewhere to go when the Dáil is not in session. “It’s a place you can go, you can watch the news, you can watch television. You can have your lunch, you can have a snack, you can sit down and read the paper,” he said. I’l tell you one of the best things about it, I’ve been there 30 years.You could have a stand- up row in the chamber, but once they leave that chamber and go there for a cup of coffee or whatever, next thing you see is them in there chatting with each other. Barrett said that the increased difficulty in getting re-elected has mean that the “day is gone” when members could spend their time drinking in the house. TheJournal.ie reported earlier this month that nearly €7,000 was spent in the Dáil bars on the night the of the abortion debate, €4,000 of this was spent on alcoholic drinks alone but Barrett said he saw no members drunk before the debate ended at 5am. Email “'It's a members facility'. Ceann Comhairle denies Dáil bar is there for drinking”. Feedback on “'It's a members facility'. Ceann Comhairle denies Dáil bar is there for drinking”.